On one of the food Web sites that Mom frequents, one of the "foodies" decided to try an assortment of domestic and assorted butters to see if there was any real difference between them. After selecting about a half dozen of the most popular brands, from a very fancy French one to good ol' Land O' Lakes, she conducted a taste test. 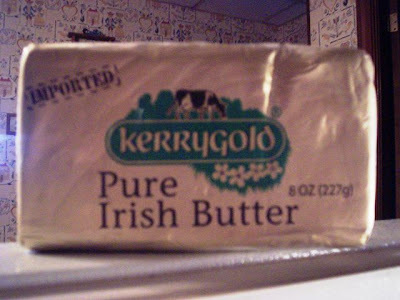 Although she thought the winner was the very expensive French one (over $5 a pound), the popular selection was the Kerrygold Pure Irish Butter. Of course, New England Bites just had to try it. We picked it up in the cheese section of Stop & Shop for $3.29 for a half pound package. Ouch! THE VERDICT: Delicious! 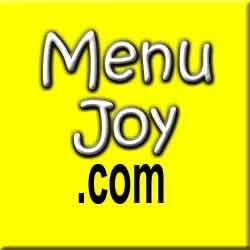 The butter was nice and creamy, melted very easily, and had a bright yellow color. The butter had a definite sweet taste to it, and went well with our English muffins. It was really very tasty, and we can see why it was a favorite among the foodies. We would definitely buy it again, but would use it sparingly because of the price.